28 years Experience "KORKMAZ Soğutma"
Our focus is to help you achieve your ultimate goals with The Best Service every time. 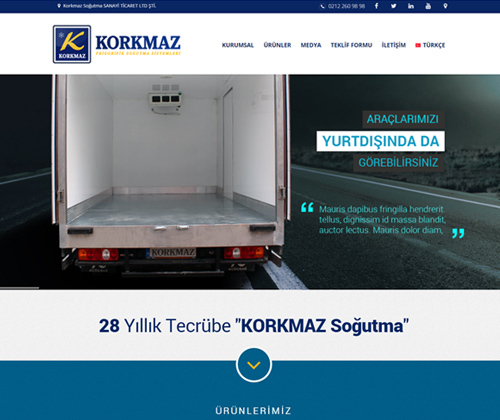 "What you carry is important for us"
"Korkmaz Sogutma founded in 1987 and first producer in Turkey of vehicle refrigeration units." İnner and outer surfaces are installed with painted boxy , silicon ,steel plate is galvanized between two walls 42 kg. panel polyurethane are used .Ceiling ,floor ,sides and doors seperatly are manufactured as mono blok body.